Microsoft’s Project Natick team with the data centre. 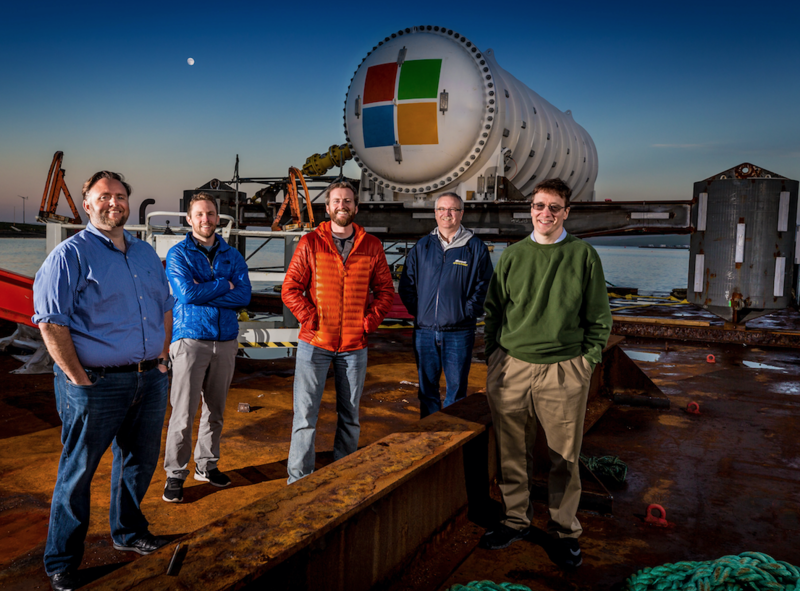 Pictured from left to right are Mike Shepperd, senior R&D engineer, Sam Ogden, senior software engineer, Spencer Fowers, senior member of technical staff, Eric Peterson, researcher, and Ben Cutler, project manager. Microsoft has announced that it has sunk a computer data centre in the sea off Orkney, in a pioneering move which has seen the islands dubbed as the one of the most exciting places in tech. The deployment is phase two of Microsoft’s Project Natick. Data centres are the backbone of the internet and as demand for data centre resources across the computing industry grows exponentially, industry need a solution to data storage that provides both the speed people expect and solutions that are more environmentally sustainable. Microsoft’s Project Natick could herald a new wave of data centres that can be deployed rapidly and inexpensively while increasing data speeds along coastal regions, say the company. 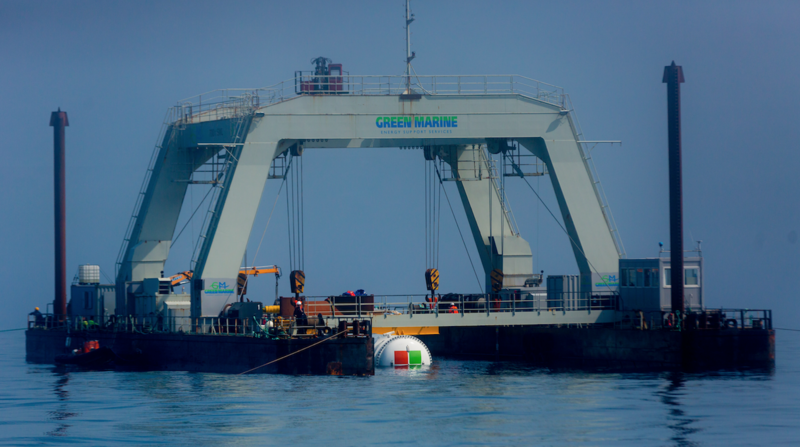 In Orkney what has been described as a more eco-friendly data centre has been lowered into the water at the EMEC Billia Croo test site. The shipping-container-sized prototype, which will be left in the sea for a set period of time before being recovered, can hold data and process information for up to five years without maintenance. Project Natick’s 40-foot long Northern Isles data centre is loaded with 12 racks containing a total of 864 servers and associated cooling system infrastructure. The data centre was assembled and tested in France. Microsoft chose to work with Naval Group, a 400-year old France-based company with global expertise in engineering, manufacturing and maintaining military-grade ships and submarines as well as marine energy technologies. It was then shipped on a flatbed truck to Orkney where it was attached to a ballast-filled triangular base for deployment on the seabed. A cable from the Orkney grid sends electricity to the data centre, which requires just under a quarter of a megawatt of power when operating at full capacity. Despite being as powerful as several thousand high-end consumer PCs, the data centre uses minimal energy, as it’s naturally cooled. Local company Green Marine was involved in the deployment operation, with its gantry barge used for the operation. The data centre being taken to the deployment site.